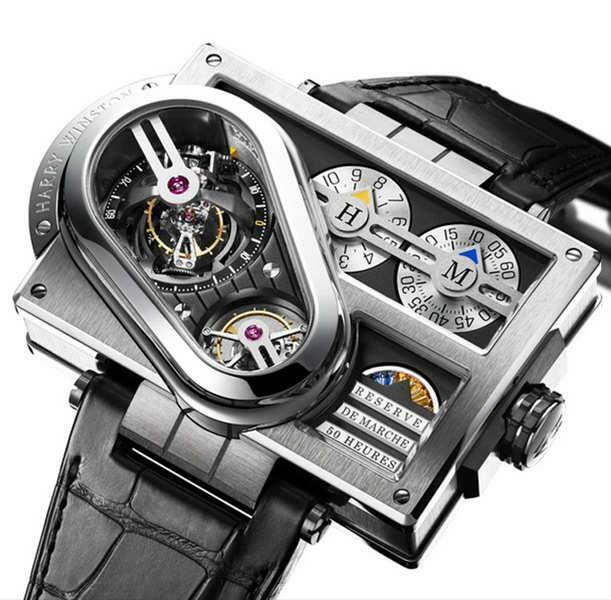 The Swatch Group has secured legendary watch brand to the stars Harry Winston in a $1bn deal. The purchase came after Harry Winston made clear last year that it wished to sell the high-end watch brand to focus on diamond mining. The cash raised from the sale will be put towards expanding the company’s interests in diamond mining, a business that last year was more than twice as profitable as jewellery. The luxury jewellery brand said it will be known as Dominion Diamond Corp. once the Swatch transaction closes. Swatch is not buying into Harry Winston's diamond mining activities, although under the deal, both companies will explore the possibility of setting up a joint venture that will focus on diamond polishing. Swatch Group, the world's biggest watchmaker, with a who’s who of high-end watch brands in its portfolio, including Blancpain, Breguet, Omega, Tissot, Jaquet Droz and more, is paying $750m for Harry Winston, which employs 535 people, plus up to $250m of net debt. The Chairwoman of Swatch, Nayla Hayek, is delighted with the deal and commented: "Harry Winston brilliantly complements the prestige segment of the group. We are proud and happy to welcome Harry Winston to the Swatch Group family," adding "Diamonds are still a girl's best friend." She believes the deal will add to her company’s up-market brands such as Breguet and Blancpain. The deal is Swatch's first big takeover in years and comes as watchmakers race to buy up know-how and production facilities around the world. Swatch already owns high end luxury brands including Omega, Breguet, Blancpain and Jaquet Droz. It has bought several component makers over the past years, but it has been more than a decade since it bought a major watch brand. Analysts in some quarters believe the deal to be expensive; Jon Cox, head of Swiss research at Kepler Capital Markets said, at first glance the deal looked expensive, valuing the business at 23 times its earnings before interest, tax, depreciation and amortisation expected for the year to January 31. The average for the sector was 10. But Robert Gannicott, Chairman and Chief Executive of Harry Winston feels that "The Harry Winston brand now has a new home that can provide the skills and support that it deserves to realise its true potential." Last week, Swatch beat expectations for global annual sales despite a slowdown in demand for its luxury watches in China. The transaction is still subject to the approval of the different regulatory authorities.